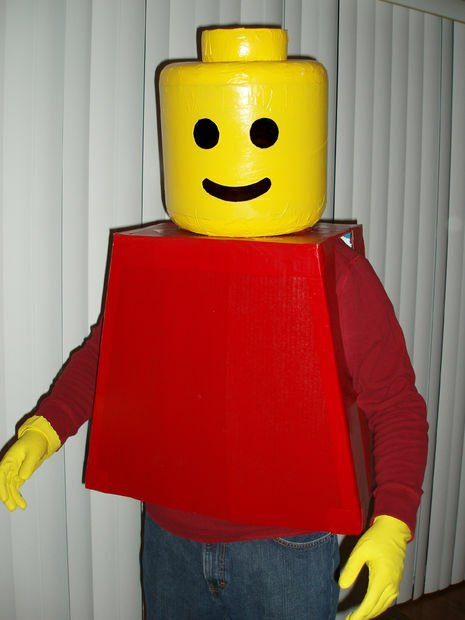 When it comes to Halloween costumes, the homemade stuff is usually the most rewarding investment. It gives you the greatest satisfaction with the least financial investment. What more could you ask for? Plus, the fact that everyone will make envious remarks regarding your extraordinary your costume will make you the absolute star of the evening. So couples, women, pregnant women, men and kids, this is a pile of quick ideas for all of you out there who are in search of inspiration. 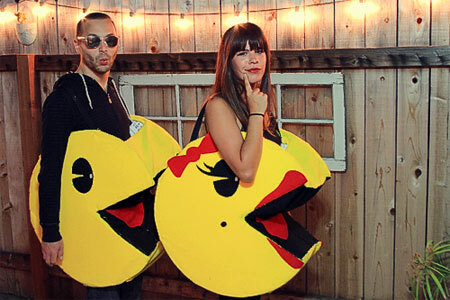 Here are 10 Great Homemade Halloween Costumes in 2014. This one is pretty famous on the Internet, so you’ve probably come across it before. But it’s good not to forget about it. Doing it like the guys in the picture is probably a bit risky, as you may be called copycats, but nevertheless you can find your own favorite app and unleash your talents and imagination. The result might surprise you, too. Come on, this is an easy one! The best last minute solution. Remember The Shining? Recreating the The Grady Twins isn’t much of a problem. 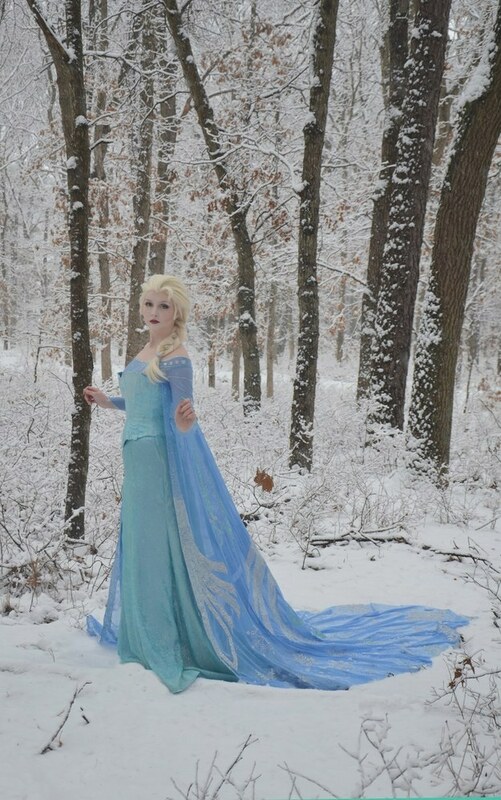 Just grab two light blue dresses and some artificial blood. And you’re good to go. It’s even funnier if you don’t have a twin, and your other half doesn’t look like you at all. Nothing matters but presence and attitude. These two are scary by default.Group hug, everyone! This is a rather unconventional idea, but it might suit some future mothers to perfection. Or you might as well get yourself one of those frontside baby carriers, a baby doll, and then dress it up like a mini Bill or Hillary Clinton. The easiest of the homemade Halloween costumes you can come up with. How cool is that? You’ll be adored and laughed at, and probably asked to sing in a strange language. In other words, a minion is always the cute soul of the party. And this is for everybody indeed, as gender, or age, or stature or even IQ don’t really matter. But keep in mind the fact that you’ll be needing your IQ as you make it from cardboard. 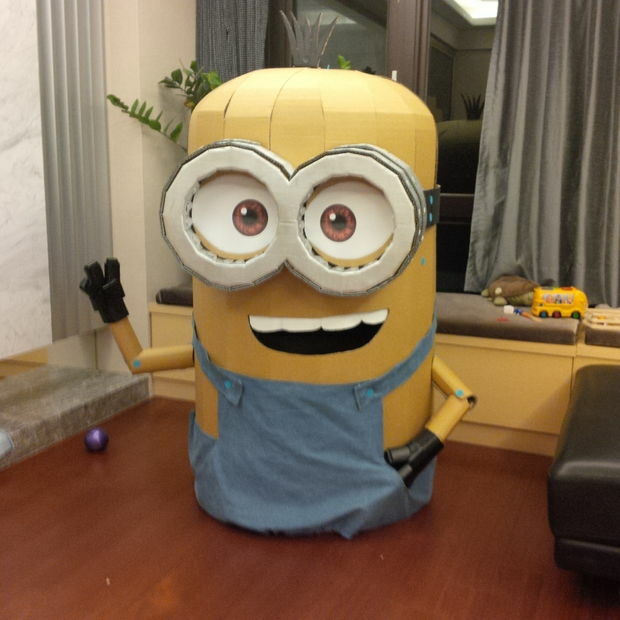 A minion is probably among the few best homemade halloween costumes for adults. Find its building instructions here. Clever mending all the way! Your infants should never be left without an outfit! 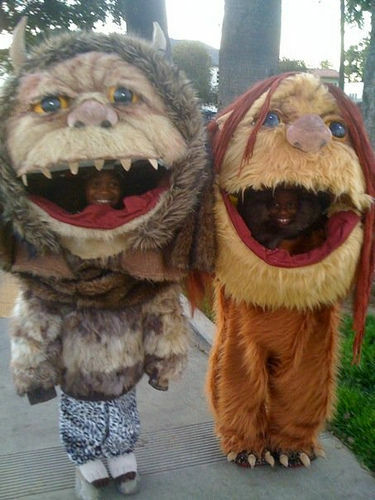 This is probably one of the cutest homemade halloween costumes you can make. And it’s for your kids to enjoy. So boys and girls, let’s get the party started! Here’s how it’s made. If you have a lot of free time and some handcrafting skills, I wish you good luck with this one. At first glance, it seems almost impossible to make. But little girls deserve their treat! But it’s beautifully done. Here it says how. The head is made from a tube sold as a form for concrete -strong but still lightweight. The wearer sees through the facial features, which are covered with mesh speaker fabric. You could be joined by your significant other, or by any friend or family also disguised as Lego figurine or maybe as a Lego brick. Remember when actor Shia LeBeouf attended the premiere of Nymphomaniac wearing a paper bag that read: “I am not famous anymore”? Hope you do. Remind your friends with a funny, creative and simple costume that’ll only cost you a paper bag. This is the coolest one around and how cheap is that? These two are just awesome! For this one just go to Home Depot and get some huge pieces of foam board. Then take the lid of a garbage can from the store and bring it outside to trace the circle shape onto the foam board. Use a box cutter to cut out the shape, and add a triangular mouth as well. Then just get scissors, yellow felt, black felt, red felt, yellow embroidery thread, needles, glue, and thick bands to use for the straps. Glue the yellow felt onto the foam circles first (it’s better to cover both sides of the foam). Seam yellow felt rectangles to each circle in order to connect them. This is probably the most difficult step, as you have to be sure your bodies would fit between. Connect the triangular mouth using black felt. Then add the straps at the top that would help the costume hang from our shoulders. It seems more difficult than it really is, trust me. See you on Pinterest, posing in original angles with your brand new homemade costume after this year’s holiday! Promise?